Hotel revenue managers are driving the advancement of sophisticated fishing techniques that are forcing the closure of traditional travel agents. 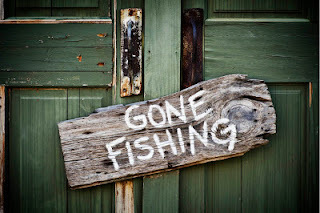 Littered across South Africa are small high street businesses shutting shop plastered with “Gone Fishing”. These travel agents made a grave mistake; they were fishing in the wrong pools. The fish had moved to newer waters, challenging the hotelier to find new ways to bring bookings. Hoteliers began fishing themselves. Hotels have had to understand how travel shoppers think, how they behave and how to sell direct to secure the best specimen, at the best price, from the right location. Pre-2000 hotel sales derived from the traditional ground travel agent, sales teams were outsourcing new business. Hotel operators have hundreds of OTAs (Online Travel Agents) to choose from. This choice offered both traditional as well as specialist OTAs. This brought forth the Revenue Manager! Now selling is much like the Airline model. The fuller the plane, the higher the price! Then the global recession forced hotel operators to drop prices to create demand. Five star properties clawed into the four star market, the four stars worked its way into the three star market, etc. Sales strategies collapsed. Average rates plummeted, making it very difficult for the industry to reestablish the pre-recession rates. If you ask me – they go fishing every single day! Revenue Management is now – know where to fish, what bait to use, and react to the weather. Follow these principles and your baskets will get fuller, giving a mixed bag of fish of different values. The heavier the specimen, the more it’s worth. Revenue management is all about understanding and selling the right room, to the right person, at the right time, for the right price. Very much like our rule in hotel operations, pertaining to service delivery – do the right thing, at the right time, in the right place, for the right reason, the first time. Airlines fish well. Seats that are sold on the same day of the flight have secured maximum revenue. It is not uncommon for two people, sat next to each other on the same flight, to have paid completely different prices. Airlines look at the purpose of travel and the flexibility of their potential passengers. A business traveler has less flexibility than that of holidaymakers. A person planning a holiday plan their trips in advance; a business traveler travels mostly on short notice, with very little lead time. Airlines also offer short-term specials to reward existing clients, attract new clients and fill as many of the empty seats as possible, during a time-specific promotion. You need a source for your fish, so you need ponds, rivers or seas. Consider the type of fish you want and the value each fish will bring from the different ponds, understand the volume of fish available to calculate the demand. Do you need a net or a single rod? Therefore select and subscribe to a portfolio of at least ten OTAs, which should cover your consumer bases across several different demographic and geographic areas/markets. This practice is crucial to stimulating and creating demand. Having selected the right ponds that will bring the right type of fish for your hotel, you can now promote your presence. And in this case it’s good to have as many ponds (online distribution channels) as possible. One fish caught is one fish you would not have had. One room sold is one room that you would never have sold. Drop your bait in the wrong place and you may not get the type of fish you want. Therefore the location of your hotel plays a crucial part in selling and marketing the property appropriately. Highlight the main events and attractions surrounding your property and make this information prominent to all searching travelers. Emphasize the facilities you have to offer including those in your immediate surroundings. Understand where your customer-base comes from and where they go after their stay, this information will open other doors of opportunity to sell the right package. The right bait is also essential, are your fish actually interested in what you’re offering? What are you presenting them with? Managing your content on all online distribution channels is vital. Consistency is key! Always select a portfolio of pictures which is used on your brand website, promote the same on the OTA sites – never load different pictures on different sites as this creates confusion and displays untidiness! Your write-up about your property, rooms and facilities should be the same and consistent across all channels of distribution. Never forget content is marketing and marketing builds reputation, the consumer’s purchase decisions are based on reputation. The right bait in the right pool with the right fish, once they bite its time to get them in fast before they let go. There is one key way to achieve this – Pricing your product in line with the current market conditions. Pricing should be seasonal and highly focused on adjusting rates during the troughs and peaks within the seasons. Pricing should be kept in parity across the board without undercutting on selected platforms. Understand demand and forecast demand. Subscribe to the newsletters of all major airlines that operate in your city. Know when they advertise special fares into your area and “piggyback” them by promoting your own specials; your competitor is probably doing it already. You will find that when the airlines are in distress, Hotels are in distress. Each fish now comes with its own associated value and you need to make sure it balances the books. Pay close attention to achieved rates, ADR (average daily rates) and your RevPar (Revenue per available room). Room rates should be set according to these achieved statistics and kept realistic in your market. Know what your competitors are doing. Sales strategies should be aimed at the customer, their needs and the current market conditions, considering what the achieved rate was for the same period. Budgets are the guidelines set out for us and forms part of the wish list for the year, however it is not and should not be the deciding factor for your sales strategy. No man enters a fishing competition without trying to figure out what their competitors are doing. Understand what your local market is achieving, and aiming to achieve. Even more is crucial in understanding how to position your rates to create or stimulate demand. Fish have routines, they sleep, eat and play, and each specimen has its routine. Knowing when to fish the best fish is essential. Understand your booking window. This type of information is easily obtainable from the different distribution channels. Promote early bird specials instead of last minute deals. Consumers have grown comfortable with this last minute selling technique, making it difficult for the Hotel Operator to stop (as I would refer to it) “chumming” for fish. Last minute deals are not about maximizing revenue; it is all about minimizing revenue. Always know how much space you have left for more fish, and avoid having too many fish. Manage your inventory correctly. Offer different minimum stay and maximum stay promotions. Assign only the minimum required amount of allotments to Agents and Operators and take heed, along with allotments are fixed rates. Your pools need to remain clean; a visible amount of damage or pollution will keep the fish away. Manage your reputationand invest in all guest feedback you receive. Consumers shop and base their final decisions not only on price, but what people say about your property. The Revenue Manager certainly has a daunting task ahead if this is all still managed manually. Updating content, price and availability steals the focus away from strategizing, planning and making real decisions that will maximize your revenue. Begin automating your fishing techniques for the benefit of your business. Fishermen need the right technology that is flexible to the changing needs of the waters, and that is adaptable to global markets and delivers access to the relevant pools when needed. Hotels need to manage all the aspects of online distribution, analyze the market, calculate rates, monitor rate parity and position, distribute rates and availability to multiple distribution channels and manage all online reviews. Hotels need to be connected to these pools 24/7 to send and receive the market data to make more intuitive pricing and distribution decisions, through a single source. Fisherman haven’t been able to avoid technology, who have had to invest in depth-sounding and radar technologies to gauge where the fish are, the type and the quality, plus meteorology reports to understand the farming conditions. Therefore neither can hotels avoid systems to report on their market. Go fish – before you’re Gone Fishing. Evolution waits for no man – Happy Fishing! Clinton Du Toit has over 16 years experience in the hotel industry. The former hotel General Manager, with experience in revenue management, as well as hotel sales and marketing functions likes to educate the market on hotel online distribution. Clinton is based out Cape Town and is currently working with eRevMax as Sales Manager – South Africa.